Tosoh Quartz, Inc. is committed to our internal written operating philosophies, values and standards of conduct. These standards uphold the human rights of all workers such as to freely choose employment, no child labor, limits to the number work hours allowed, proper wage and benefit practices, humane treatment, non-discrimination and freedom of association and treating others with dignity and respect. These standards, philosophies and values align with the EICC Code of Conduct. http://www.eicc.info/documents/EICCCodeofConductEnglish.pdf. Tosoh Quartz, Inc. has not identified any significant risk with compliance to the EICC. Each year Tosoh Quartz, Inc. conducts an employee survey that gives employees an opportunity to provide ratings and feedback. Employees may answer questions anonymously and all feedback is reviewed. The major categories of the survey include their work (includes safety), company communication, employment (includes compensation & benefits) and mission (includes ethics). 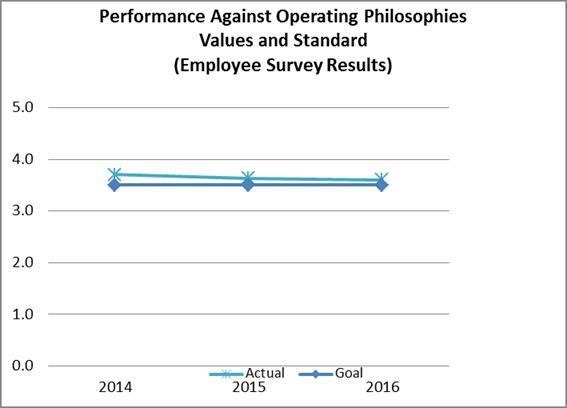 This survey measures how the company is performing against the operating philosophies, values and standards of conduct. The response is a rating of 1 to 5 with 5 being a positive response. The company goal is to maintain an overall rating above 3 and to review comments and concerns brought out in the survey. 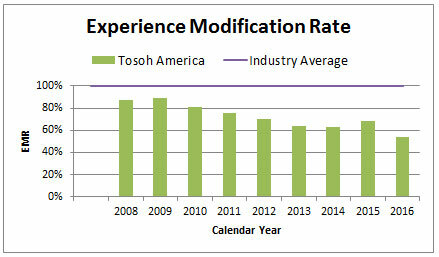 Tosoh Quartz, Inc. is committed to protect the health and safety of our employees and community. We comply with all applicable regulatory Environment, Health & Safety requirements. We review our program and work to continuously improve our performance with a goal to remain under the industry average rate. An experience modifier (EMR) is a multiplier applied to the premium of an insurance policy. The EMR provides an incentive for a sound safety program, a return-to-work program and other loss prevention activities. EMRs are based on claims costs for the prior three-year period. EMRs are calculated by the NCCI, based in Florida. Tosoh Quartz is committed to protect the health and safety of our employees and community. We will comply with all applicable regulatory EHS requirements and embrace continuous improvement. We will strive to have an incident and injury free workplace, conserve natural resources and reduce waste. Tosoh Corporation, based in Japan, includes 140 companies. We are proud to represent Tosoh Corporation in Portland, Oregon, and model the best of both local and international environmental standards. Environmental programs and performance at Tosoh Corporation can be found at: https://www.tosoh.com/Sustainability/Environment/. We are not a significant source of carbon dioxide (CO2) or ozone-depleting compounds (ODC) due to glass blowing with clean-burning hydrogen and oxygen. We are not a significant source of volatile organic compounds (VOC). We operate below thresholds for United States Environmental Protection Agency (EPA) Toxic Release Inventory (TRI) reporting. 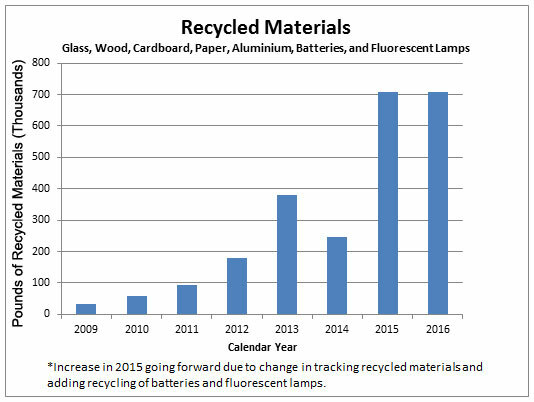 We are an Oregon DEQ conditionally exempt hazardous waste generator (i.e., less than 100 pounds generated in 2010). We operate a clean facility with a no-exposure certification for industrial stormwater. We purchase B5 Biodiesel for our fleet trucks. In 2015, we purchased 1819.5 gallons of biodiesel. In 2016, we purchased 1775.6 gallons of biodiesel. Tosoh Quartz, Inc. continues to participate in CO2 offsets Portland General Electric’s wind energy. In 2015 we purchased 422,467 kWh which resulted in 566,248 pounds of CO2 that we avoided emitting into the air. In 2016 we purchased 416,664 kWh in wind energy which resulted in 657,942 pounds of CO2 that was avoided being emitting into the air. 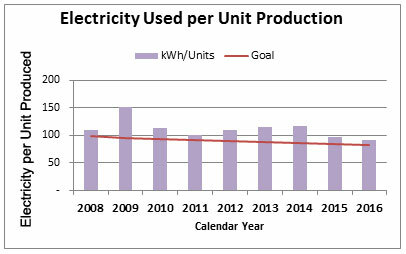 Facility Electricity: Reduce electricity consumption per unit by 3% per year. 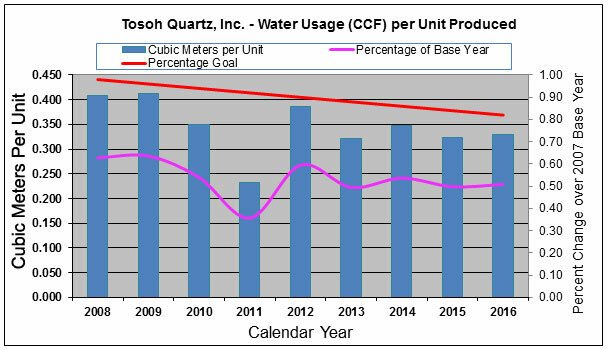 Fresh Water: Reduce water consumption per unit by 2% per year. Tosoh Quartz remains committed to continuous improvement, and we will continue to move forward with our environmental management system, partnering with customers, peers, and suppliers, and proudly representing Tosoh Corporation in the local and international community.